Provide comfort for the family of Dianne Van Haitsma with a meaningful gesture of sympathy. 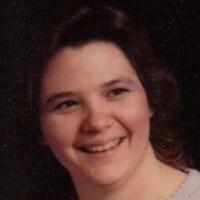 Dianne F. Van Haitsma, 54, of Felton, De. died December 4, 2018. Born in Sewickley, PA, she was the daughter of the late George F. Bankes and Frances M. Bankes currently of Felton, DE. Prior to moving to Delaware Dianne had served as Office Assistant at the Camden Community College until disability forced her retirement. Dover, De 19901 or American Cancer Society of Delaware 92 Read’s Way STE 205, New Castle, De 19720. Arrangements by Michael J. Ambruso Funeral Director, Inc., Dover, De. Condolences may be made via www.ambruso.com. To send flowers in memory of Dianne Frances Van Haitsma (Bankes), please visit our Heartfelt Sympathies Store. We encourage you to share your most beloved memories of Dianne here, so that the family and other loved ones can always see it. You can upload cherished photographs, or share your favorite stories, and can even comment on those shared by others. Provide comfort for the family of Dianne Frances Van Haitsma (Bankes) by sending flowers. Dianne your passing left a void in my heart that I hope to fill with all the wonderful memories I have of you. I will miss you terribly but rest secure in the knowledge that you will be among those to greet me when my time comes! I’m saddened to hear of Dianne’s passing. She was a wonderful and thoughtful colleague. I extend my condolences to her family and friends. So sad for your loss David and family. Dianne was loved by all who knew her or came in contact with her. I know we will see her again in the eternities. Not goodbye but see you later Dianne.